The Painting Center is pleased to host Water, an invitational exhibition of over 20 watercolors by 11 contemporary artists. The show explores a particularly intriguing aspect of the watercolor medium: its proficiency for depicting the characteristics of water itself – its transparency, depth, and liquidity. 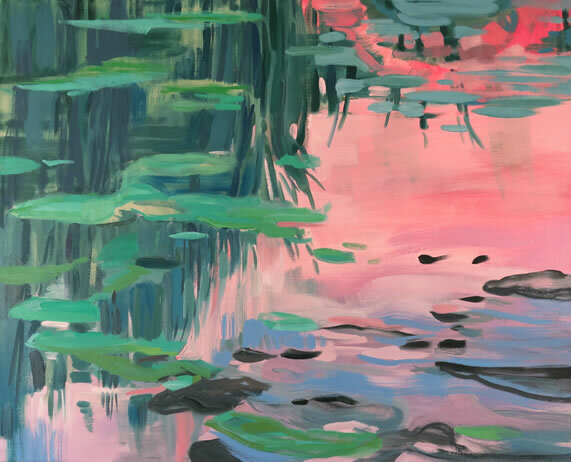 This show is the latest in a series presented by Watercurrents, an association of artists founded in 2003 that has organized several watercolor exhibitions at such New York galleries as Kouros Gallery and Lori Bookstein Fine Art. As a physical medium, watercolor is merely the staining of paper with diluted pigments. This simplicity, however, belies not only its difficulty but also its expressive intensity. 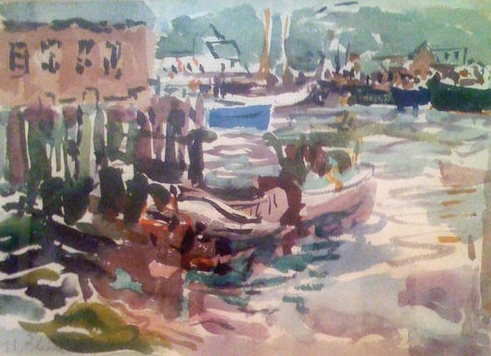 Indeed, its unique luminosity and immediacy is evident in images as diverse as Turner’s stormy seas and Sargent’s limpid Venetian canals. It is no coincidence that such watercolors – some of the most compelling examples of the medium’s traditional possibilities – depict the conditions of water itself. 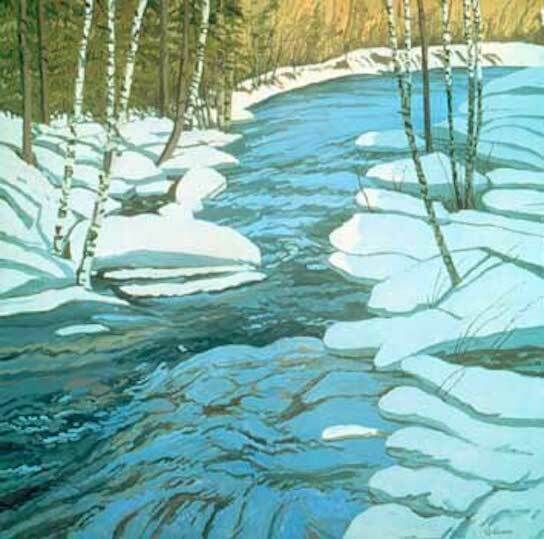 This challenge is revisited by the 11 artists of Water: Nell Blaine, Lois Dodd, Phyllis Floyd, John Goodrich, Carolyn Harris, Louis Kahn, Arthur Kvarnstrom, Elizabeth O’Reilly, Susan Shatter, Kamilla Talbot, and Neil Welliver. Their subjects range from oceans and rivers to bathtubs and glasses of water. Their techniques vary from the meticulous to the expressionistic, and the scale of their images from the intimate to the panoramic. They all share one intention, however: the conjuring of the semblance of water, in the colored washes of its own substance. There will be a reception for the artists from 6 to 8 pm on March 5. Gallery hours are 11 am – 6 pm, Tuesday through Saturday. For more information, please call 212-343-1060.